Flexeril is a Brand name for a medication containing cyclobenzaprine as an active ingredient that is used as a muscle relaxant. It works by blocking nerve impulses responsible for pain sensations that should be sent to the brain. As a muscle relaxant it is used together with physical therapy and other measures for relaxing muscles and relieving pain and discomfort that can be caused by sprains, strains, and different muscle injuries. Cyclobenzaprine can relieve local muscle spasm with no interruption of muscle function. Flexeril is available in a form of tablets in dosage strengths of 5 and 10 mg.
For most patients, usual and recommended dose of Flexeril is 5 mg three times a day. The dose may be increased to 10 mg three times a day, depending on individual response. This drug should be used only for short-time period (no more than 2-3 weeks). Other common products on the market containing cyclobenzaprine are: Amrix, Flexmid, Flexiban, Cyclo/mag and Therabenzaprine. Tramadol is a generic name for an opioid narcotic-like pain reliever that is used for relieving moderate to moderately severe acute and chronic pain. According to European League Against Rheumatism, it is recommended for the treatment of chronic pain caused by medical condition called fibromyalgia. Tramadol tablets are available in 50 mg and 100 mg and they are usually taken several times a day. Extended release tablets are available in doses of 100 mg, 150 mg, 200 mg, and 300 mg.
Common Brand names for medications containing tramadol are: Ultram, Ultram ER, ConZip, Rybix ODT and Ryzolt. Tramadol is available in the following dosage forms: tablet, tablet extended release, suspension, capsule extended release and disintegrating tablet. Cyclobenzaprine is a skeletal muscle relaxant and a depressant of the central nervous system. Cyclobenzaprine has effects on the structure in the brain called locus coeruleus, where increases the release of norepinephrine, through the gamma fibers that innervate and inhibit the motor neurons located in the ventral horn the spinal cord. Cyclobenzaprine can also reduce muscle tone by binding to the 5-HT2 serotonin receptors, antagonizing them and decreasing the activity of descending serotonergic neurons. Cyclobenzaprine exhibits anticholinergic activity and reseprine antagonism. Structurally it is similar to antidepressant Amitriptyline. Tramadol has 2 different mechanisms of action. First, tramadol can bind with parent and M1 metabolite to μ-opioid receptors causing inhibition of ascending pain pathways in CNS, and secondly, tramadol can inhibit reuptake of norepinephrine and serotonin. Tramadol’s inhibitory effects on the serotonins 5-HT2C receptors may cause the reduction of the seizure threshold. However, the seizure threshold reduction could be also attributed to tramadol’s inhibition of GABA receptors in CNS at high doses. In addition, tramadol’s major active metabolite called O-desmethyltramadol, has a high affinity to the δ-opioid receptors in the brain, and interaction with these receptors can be involved in tramadol’s capability to provoke seizures in some individuals, because δ-opioid receptor agonists are well known seizure inducers. Patients should never use Flexeril and Tramadol at the same time unless their doctors tell them otherwise. If these drugs are used together, they can cause serious side effects. Tramadol may rarely cause seizures, and combining it with cyclobenzaprine and other drugs that can also cause seizures, risk may be increased. The interaction is more likely to happen in elderly patients, after withdrawal of alcohol or drug, in patients with a history of seizures, brain tumor or head trauma. Tramadol and cyclobenzaprine can also both increase serotonin levels in the blood. Too much serotonin can be potentially life-threatening condition causing increased heart rate and high blood pressure that can lead to shock. If combination of these drugs is taken, patients mustn’t drive or operate machinery. The table below shows side effects after Flexeril and Ambien administration in recommendable doses. The incidence can be significantly increased if these drugs are overdosed or taken together. Patients should tell their doctor and pharmacist if they are allergic to Flexeril or Tramadol or any other medicines, or any of the inactive ingredients in Tramadol or Flexeril products. Patients should also tell their doctor and pharmacist what prescription and nonprescription medicines, nutritional supplements, herbal products or vitamins, they are taking or plan to take. Patients using Flexeril should tell their doctor and pharmacist what nonprescription or prescription drugs they are taking or have taken within the last 2 weeks, especially drugs for seizures, depression, allergies, coughs, or colds, MAO inhibitors (phenelzine, tranylcypromine), sleeping pills, tranquilizers, sedatives and vitamins. Doctor may need to change the doses of medicines or monitor carefully for side effects. Patients should avoid alcohol while using these medications. Drinking alcohol can increase certain side effects of these medications. Alcohol may add the side effects that can be caused by taking Flexeril and Tramadol. Patients should also tell their doctor if they are using Flexeril and have an overactive thyroid gland, glaucoma, heart disease or difficulties with urinating. Patients should tell their doctor if they are pregnant or plan to become pregnant, or are breast-feeding. Flexeril and Tramadol should not be used during pregnancy and breastfeeding. Patients who are 65 years of age or older should talk to their doctor about the risks and benefits of taking Flexeril, because it is not as effective and safe as other medications indicated for the treatment of the same conditions. Flexeril and Tramadol can make patients drowsy. They shouldn’t drive a car or operate machinery while using these drugs. Patients using Tramadol should tell tell their doctor what herbal products they are taking, especially St. John’s wort. Patients should also tell their doctor if they have or have ever had asthma, slowed breathing or lung disease. 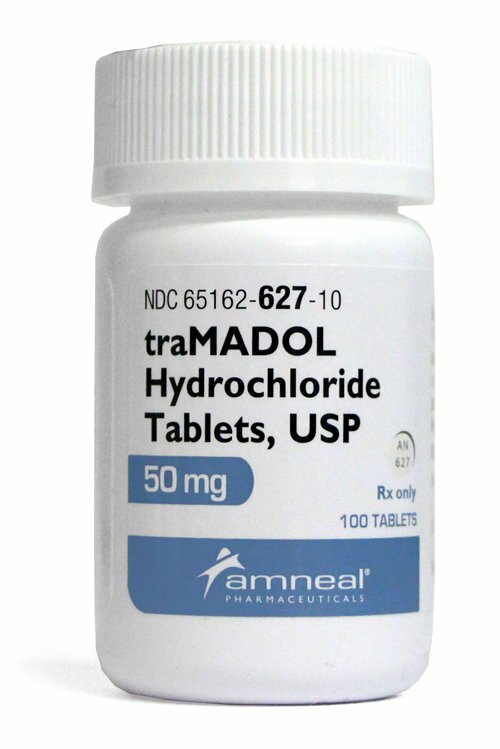 Patients using Tramadol should tell their doctor if they have or have ever had seizures attacks, brain or spine infection, a head injury, a stroke, a brain tumor, depression; mental illness, kidney or liver disease. Patients should know that tramadol may cause lightheadedness, dizziness, and fainting when they get up from a lying position. To avoid this, they have to get out of bed slowly, resting their feet on the floor for a few minutes before standing up.